DogPhoria’s Pampered Pets, Inc. (DPP) is proud to offer your furriest family member more than a traditional boarding experience. We offer a farm experience unlike any other. Our fully fenced-in five acre farm comes complete with our two outdoor play yards for your dog to run, play or just enjoy the fresh air. Our climate-controlled indoor play rooms overlook the pasture and pond, and are a great place to beat the heat or inclement weather. Our pool is another great option for pups to cool off on a hot summer day. A typical day at the farm starts out with an early morning outing followed by breakfast in bed. Throughout the day, your pup will enjoy multiple outings with at least two extended playtimes. Frozen peanut butter Kongs or bully sticks can be added to your dog’s stay to enjoy during our afternoon nap time. Bedtime turn down service includes a late-night potty break followed by a treat and tuck-in. 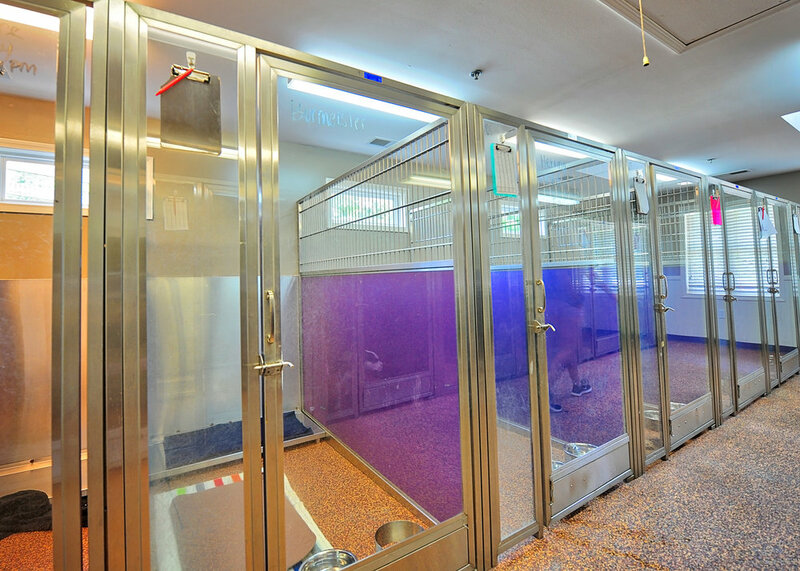 At DPP, your pet’s comfort is our number one priority. We cater both to dogs that enjoy the company of other dogs, as well as those that prefer to have more individualized time with our staff. During supervised outings, your pup will go out with a small group of fellow canine guests that have been matched to their age and activity level. Dogs that prefer solo outings will enjoy one on one play times with our staff. 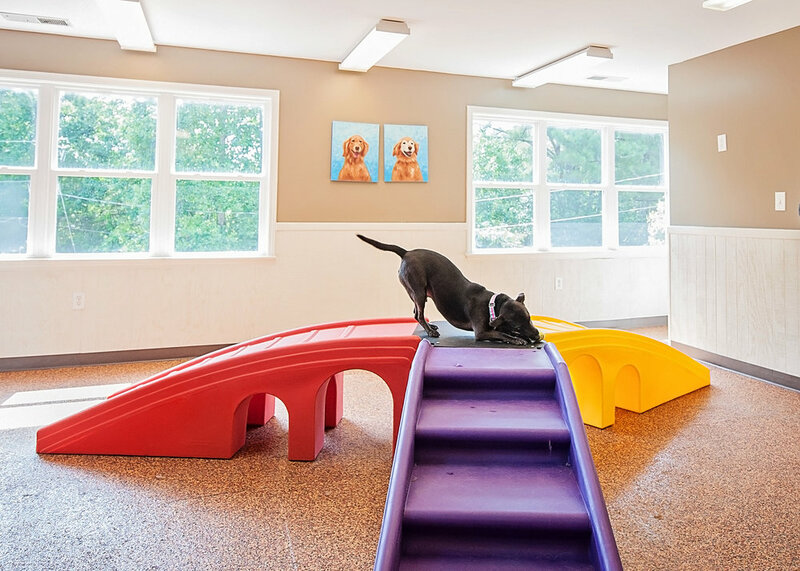 Our play yards are large, fenced areas with plenty of toys and new smells to keep your pup entertained. While outside, your pup can get down and dirty playing with their favorite staff members, or just spend time cuddling and relaxing. 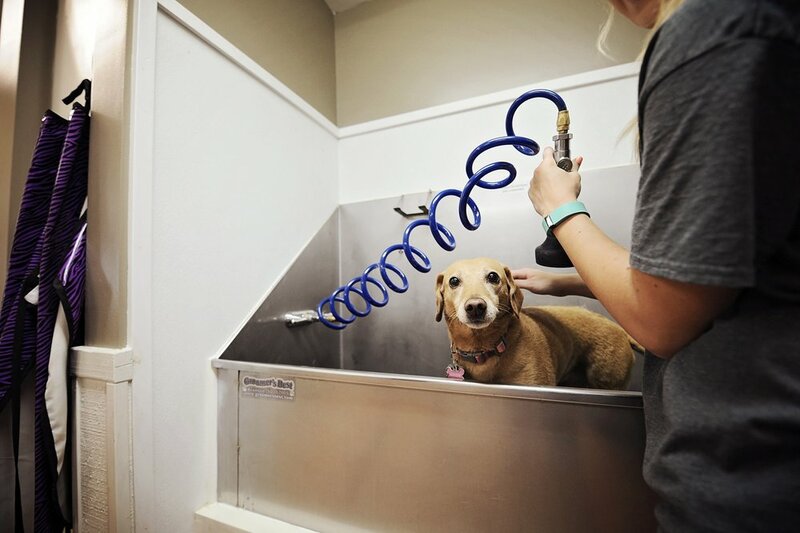 “I don't know what I would do if I didn't have the services of Pampered Pet Care. Book your pet's next visit today!